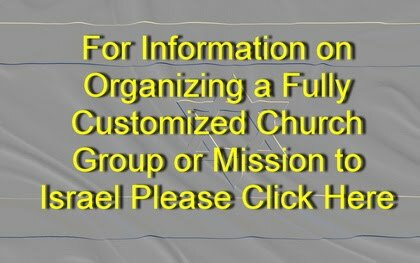 Holy Land 7 Night Sunday Arrival Israel Tour - Galilee Travel, Inc. 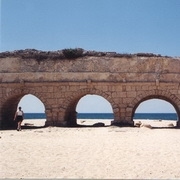 Depart Tel Aviv and drive along the coastal plain to Caesarea, capital of Judea under the Romans. Visit the excavations of the ancient city, the Roman theater and aqueduct. Continue to Megiddo, identified as the site of Armageddon. Visit the archaeological excavations at Megiddo, including the well-preserved water supply system. Drive to Haifa; view the Persian Gardens at the Baha'i Temple. 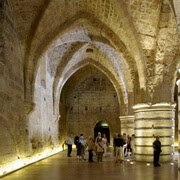 From Haifa, drive to Acre to visit the ancient city and harbor. Continue to Kibbutz Lavi for dinner and overnight. Capernaum. Visit the remains of the 2nd century synagogue. 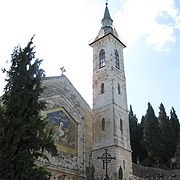 Proceed to Tabgha, the site of the miracle of fish and loaves, and visit the Church of Multiplication with its 4th century mosaic floor. 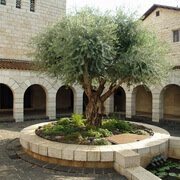 Continue to Mount of the Beatitudes, the place where Jesus delivered the Sermon on the Mount. Drive to the Banias Springs and Waterfall and tour the Golan Heights. Return to Kibbutz Lavi for dinner and overnight. Drive to Nazareth via Cana of Galilee. 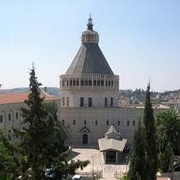 In Nazareth, visit the Church of the Annunciation, St. Joseph’s Workshop and Mary’s Well. 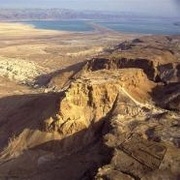 Drive to Yardenit, the baptismal site on the Jordan River. Continue to Beit Shean, a newly excavated city, and visit the Roman theater. 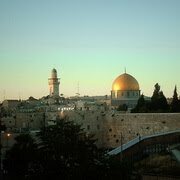 Drive along the Jordan River to Jerusalem for overnight. Sunday - Transfer to Ben Gurion Airport for departure.